If you haven't used the portal yet you need to register before you can sign in. You need to provide an email address when you register. This will be your portal user name, so use an address that is unique to you. This may be your personal email address rather than a work email address. (After you have registered you can add another email address for correspondence relating to your applications. See manage your profile). 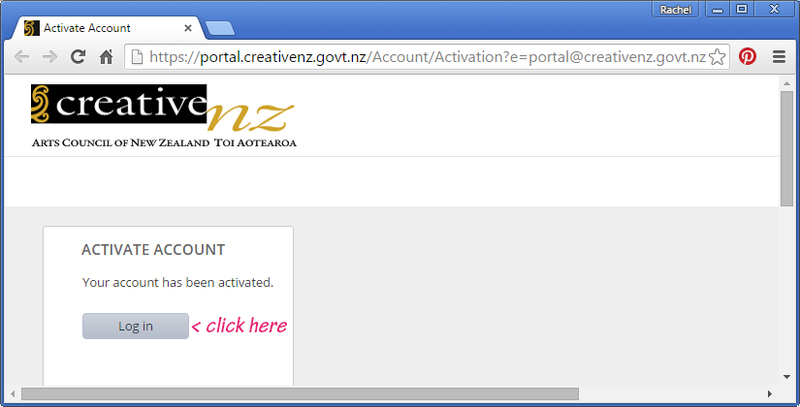 You must not register or sign in to the portal on behalf of another individual. If you are helping to prepare an application for someone else you should use your own portal account. Contact Creative New Zealand before submitting the application for advice on changing the primary applicant. Go to the portal registration webpage. Complete the registration form, shown below. If you have not completed all fields marked * or haven't entered information in the format required you will not be able to submit your registration. Alert messages will pop up next to the fields that require attention. Complete these, then click 'Register' again. Check your email inbox for an account activation email shown below (if you haven’t received the link check your spam folder). You are ready to log in and start using the portal. Your password must be at least six characters long and have at least one number and at least one upper case character. For example: Password123 If your password meets all of these rules check that you haven't typed a blank space at the end of your password. 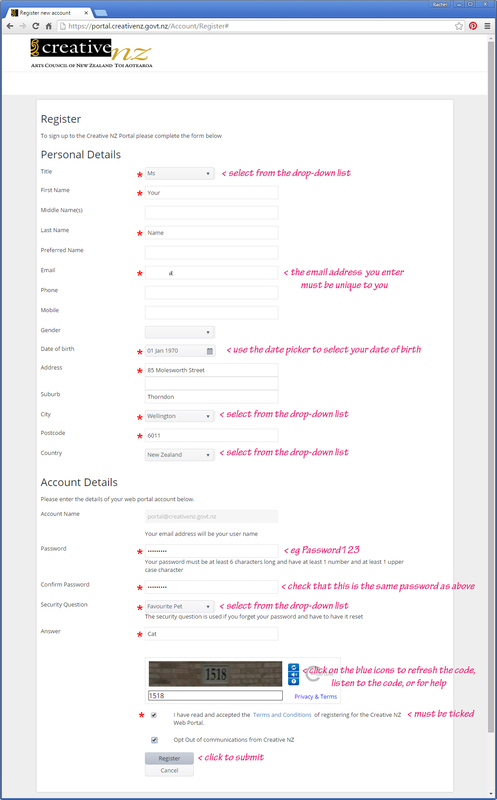 You need to select from drop down lists in the registration form. If you can not see a drop down list then the device or internet browser you are using is not compatible with the portal. 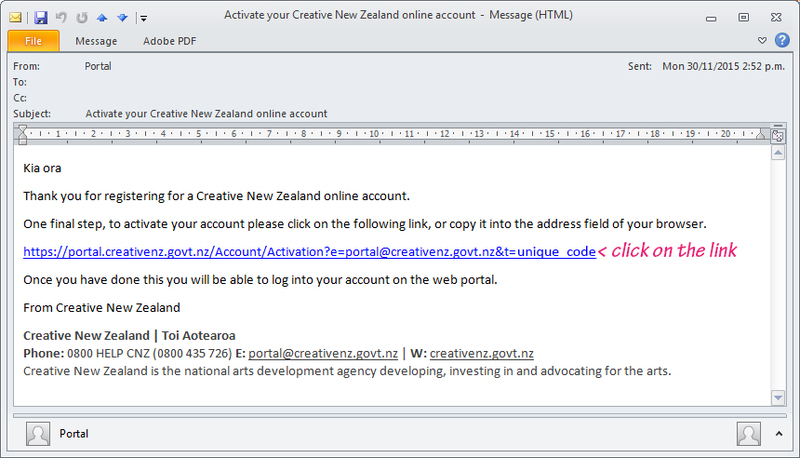 If you do not receive an activation email (and you have checked that it's not in your spam folder) or if the link in the activation email does not work, contact Creative New Zealand.